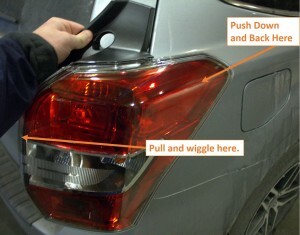 The following post explains how to change the taillight (tail light) assembly on a 2014 or newer subaru forester. I used a taillight assembly from ebay. It cost me around $139, but I have since found the parts cheaper on Amazon. Whoever took the photo of the part on amazon uploaded the image upside down so I do not have much faith in them. The following are the OEM and Non-OEM Replacement part number for Subaru Forester tail light assemblies. The TVC part that arrived actually seemed to be higher quality than the OEM part which used plastic guides while the guides on the aftermarket part were metal. step 1: Open the rear end gate. 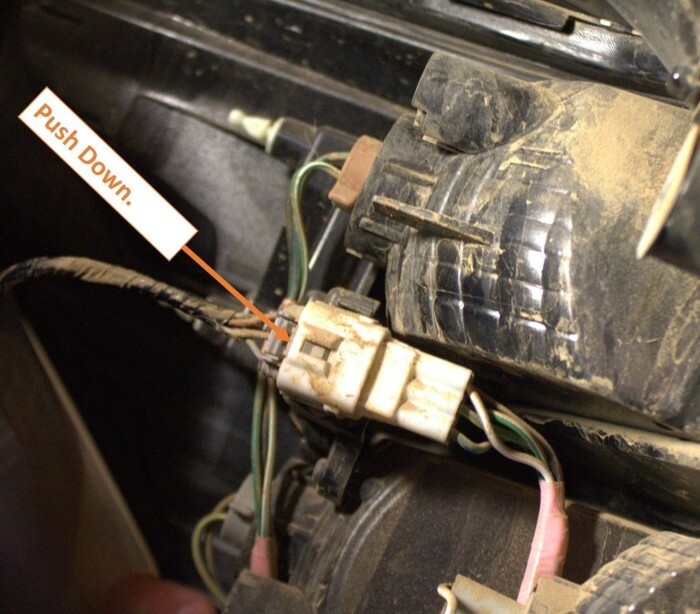 —> This exposes the two bolts you need to remove. Two bolts to remove the taillight on a forester. 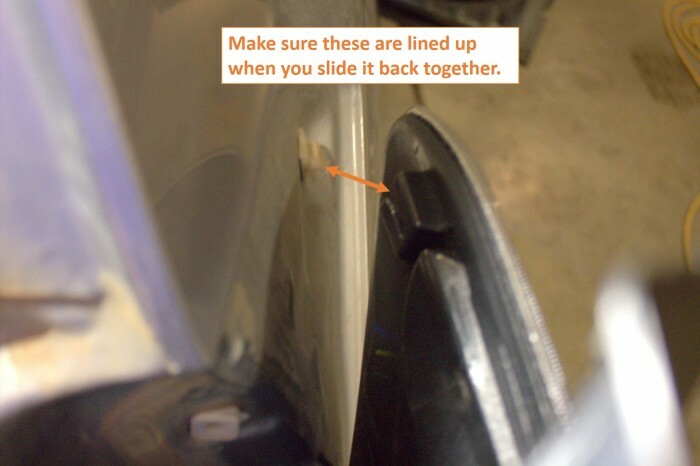 step 3: You will want to push down and back on front of the tail light. There is a guide that tends to get stuck a little depending on conditions and how much dust has collected around the guides. Note: It can take quite a bit of backward force to move the light if it has been on there for awhile, but do not get to carried away because the light assembly may pop loose suddenly and you could jerk the wire that runs all of the lights. 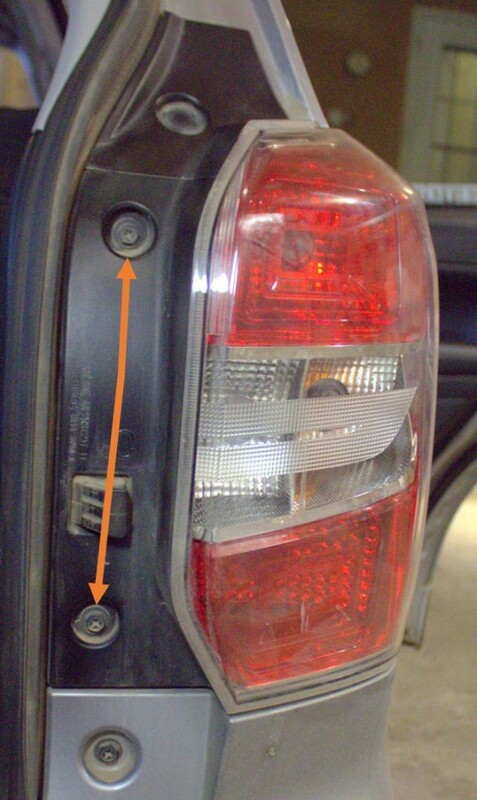 How to remove the taillight if it is stuck. If available use a small flat head screw driver at about the same angle as the text above to push the clip on the plug down. step 5: Reassemble – The only guide you can miss is photographed below. You might need to put slight downward pressure on the front of the light when you slide the assembly back into place. step 6: Be content you didn’t have make an insurance claim for something stupid like replacing a taillight. Note: This tutorial basically works to change burnt out taillights as well. I will likely do another post walking through taillight replacement with part numbers, but the tutorial above would basically cover all the steps required to remove burnt out taillights as well. I believe the lights just twist out once you have the taillight assembly free. Any local auto parts store will carry replacement tail lights. Added a video of how to remove the taillight assembly. If you have never pulled the taillights out of the taillight assembly this is how you do that.